The hiked Pay, in accordance with the pay fitment committee’s report on the Central Seventh Pay Commission, will benefit about 3.65 lakh Bihar Govt employees and six lakh pensioners. 3.60 lakh Contractual teachers will also get a similar increase in their salary. 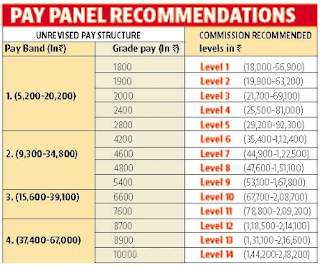 Patna: The Bihar cabinet on Tuesday approved 14-15% salary hike to its staff and pensioners in accordance with the pay fitment committee’s report on the Centre’s Seventh Pay Commission. Although the revised salary structure will be effective from January 2016, financial benefits will be doled out to government staff and pensioners from April 2017. Briefing reporters on the cabinet decisions, principal secretary, finance, Ravi Mital, said the salary of the government staff would go up by 14-15%, which would be 2.57 times of their existing basic and grade pay. “Allowances such as house rent, medical, travel, conveyance etc. will be finalised later by the fitment committee in the next couple of months,” he said. “The revised Salary will benefit about 3.65 lakh employees and six lakh pensioners. The state exchequer will incur an additional annual expense of Rs 5,000 crore on account of increase in the salary and pension,” said Mital, adding that the fitment committee had been given a two-month extension to finalize allowances of staff. Contractual teachers, who number around 3.60 lakh, will also get a similar increase in their salary, said principal secretary, education, R K Mahajan, adding that it would incur an additional cost of Rs 1500 crore on the state exchequer. 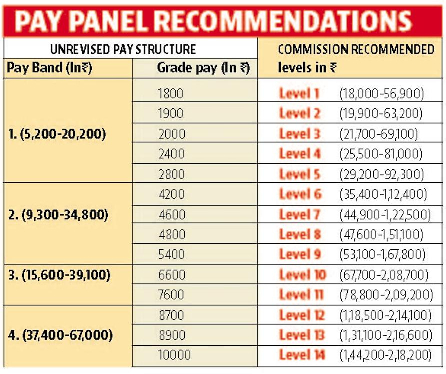 The fitment committee, headed by former Bihar chief secretary G S Kang, which submitted its report to the CM on Monday, has done away with the practice of pay band and grade pay and instead recommended as many as 14 pay metrics (levels) to determine the increase of salary to all its employees and officials, ranging from class 4 to class 1. The maximum level of pay has been fixed at Rs 2,18,200 while the minimum will be Rs 18,000 as per the revised structure. 14-15% increase in Bihar govt employees' salary, pension. Revised Salary, Hiked Pay, “The salary hike will benefit about 3.65 lakh employees and six lakh pensioners. Allowances such as house rent, medical, travel, conveyance etc.